"From Asmara, Eritrea (formerly Ethiopia) Tewolde Redda revolutionized the sounds of traditional Eritrean music by amplifying his kirar, playing his Eko electric guitar, and recording six singles in the first part of the 1970's. 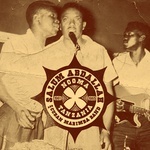 Including the first Eritrean songs to use a horn section, traditional songs reworked into his new sound, and originals influenced by radio broadcasts from the United States military base in Asmara, Kagnew Station, these ten songs originally released on the Philips, Amha, and Yared labels show off his talents with stringed instruments, a talented back-up band, and often the hand clapped beat shifting into double time near the song's end. Tewolde's thick, deep voice sings songs of love over somber and joyous tunes. Comes in a 'tip-on' sleeve with extensive liner notes, lyrical translations, and unpublished photos. A co-release with Mitmitta Musika of Addis Abeba, Ethiopia." Subtitled: Coastal Cumbias From Colombia's Discos Fuentes 1961-1973. "A follow up to A Orillas del Magdalena, twelve more cumbias from Colombia's most prolific label, Discos Fuentes. Hailing, by all accounts, from the Northern coast of Colombia, Cumbia is the offspring of the musical melding of three cultures--the Indigenous, Spanish and African. Shaped by bright cymbals, an insistent bass line, eclectic percussion and brilliant accordion playing, these Discos Fuentes recordings remain raw, loose and unpolished. From dance floor hit to nostalgic ode--they come straight from the heart. Housed in a 'tip-on' jacket." "Originally released on Philips Ethiopia in 1973, this seemingly impossible to find LP is available once again to the lucky humans of the world. 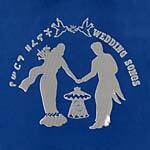 With a mix of modern and traditional instruments these fourteen songs go through the progression of an Ethiopian Amhara wedding sung in Amharic. With the trio of singers, Lemma G. Hiwot, Zenebech Tesfaye, and Selamawit G. Selassie, alternating turns at the microphone, and sharing call and response duties, a relentless frenzy of hand clapping incites dancing and smiles. The consumption of tedj (honeywine) and the swirling love of a wedding was captured in the studio with euphoric energy to take away to play over and over again when the festivities are over. With hand screened covers and an insert of wedding photos accompanying the liner notes, this is the next best thing to an invitation to the real thing. A co-release with Mitmitta Musika of Addis Abeba, Ethiopia."